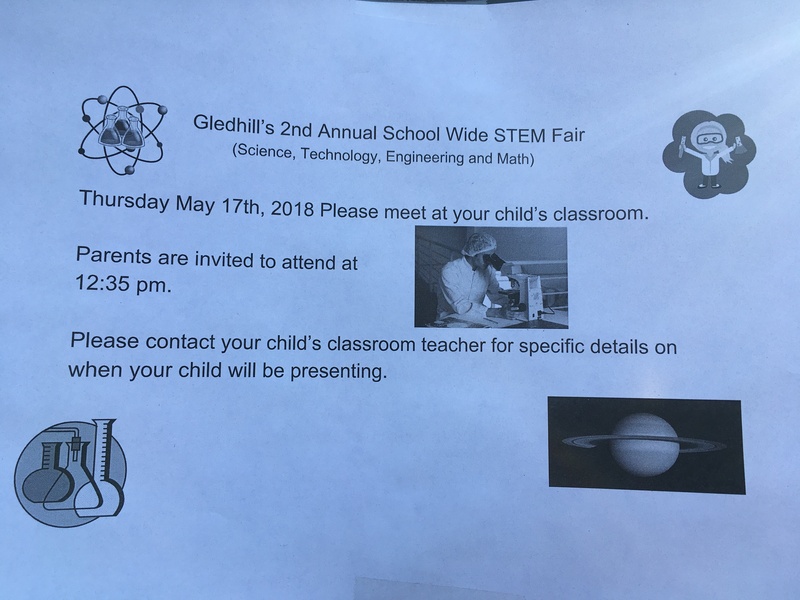 Gledhill School Council Meeting – 6-7:30pm – in the library. Please note that, unfortunately, we were NOT able to secure child care for this meeting. Children are still welcome to attend and may play quietly in the library or sit with their parents. Pizza will be provided. Track and Field practices today: Triple Jump at AM recess, 400/800/1500m with Mrs Pace at 12:00, Standing Long Jump with Mrs. Pace at PM recess and Relay at 3:30 with Mr Webb. Slo-Pitch tomorrow at 7:45 AM with Mrs Pace and Mr. Webb. Congratulations to “E” in Rm 14 and “E” in Rm 22 who knew that Antonio Vivaldi’s “Four Seasons” is performed by violins. Please see Mrs. Bailey for your prize. The new question is now posted in the music room and will be up for two weeks.